If you are to be successful in business, you'll have to make some hard decisions. Sometimes these will include decisions that your shareholders don't understand. 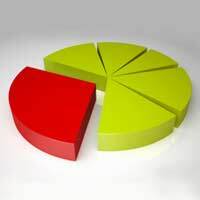 Business managers often feel that they are under continual threat of being voted out by shareholders anxious to protect their finances and receive bigger dividends. What can you do to explain your decisions to people who may have little business experience and little awareness of the difficulties of your position? How can you do the right thing for the business and protect yourself at the same time? Whether you're justifying decisions you've already made or proposing something new, effective presentation can be the key to success. Not only does it make complex ideas more accessible to less experienced shareholders, it directly demonstrates your business expertise. The key to effective presentation is effective planning. Start by trying to put yourself in your shareholders' position and use simple language and ideas to explain your course of action. Many people who find it hard to follow written or spoken explanations cope better if provided with diagrams. A brief dossier including diagrams and charts can help, as can using a flip chart or whiteboard to construct a diagram whilst your shareholders watch. This latter approach can make the diagram seem more relevant, and it demonstrates that you can think on your feet rather than simply preparing a clever explanation in advance, which will make people more inclined to trust you. When it comes to explaining how business finances work, it's often necessary to go back to basics. Many people who invest in business don't really understand what a business is - they think that you simply put money in at one end and take more money out at the other. This means that when they don't receive quick dividends, they feel cheated. What you need to do is help them understand the reality of the business without making them feel that they invested inappropriately. You need to get them excited about your basic business idea all over again, and you need to emphasise their importance in making it happen. Stress the good things their money is doing at present - keeping family members employed and gradually creating more opportunities - and try to help them see how hard you've been working. If you don't feel that they trust you, it can be helpful to have another family member, such as your spouse or an older child, approach them informally during a refreshment break to put your case. Sometimes when shareholders struggle to understand why difficult business decisions had to be made, it's helpful to talk to them about the wider economic climate. If you can emphasise that this is a period during which everybody is having to make hard decisions, they're more likely to be sympathetic to your position, and to be more concerned about strong leadership than immediate profit. However, this is an approach that requires care, as the last thing you need is them getting nervous and withdrawing their money. Often when shareholders get panicky about business decisions it's really because they feel they lack any control over what's happening to their money. Your job is then to restore their sense of control without them having to resort to the one power they know they have - voting you out. This is one reason why it's better to discuss potentially controversial decisions before you take action, even if you're worried that your shareholders might go against you. They'll feel more confident if they feel more involved. Rather than presenting them with your plan immediately, present them with the problem and offer that as one solution. During the course of the meeting you can let it emerge as the strongest option, and then they are likely to feel that the decision has been partly their own. In many cases, giving shareholders the option of being more involved in business decision making is a good way to get them to lose interest. Once they realise how much stress is involved in making tough decisions when times are hard, they're more likely to back off and let you get on with it by yourself.